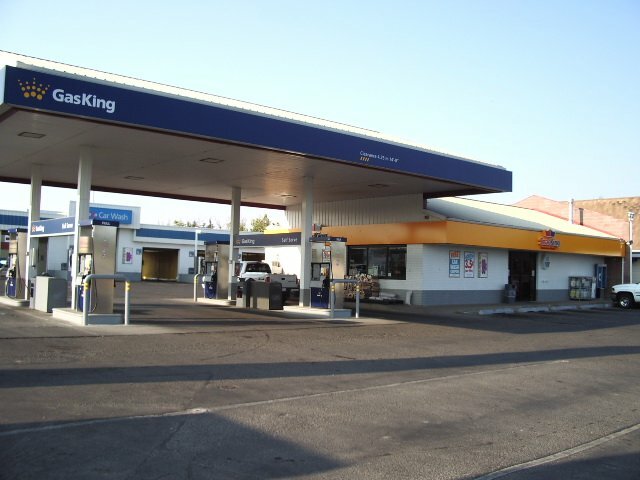 Gas King is an independent fuel retailer in Lethbridge, Alberta, Canada. 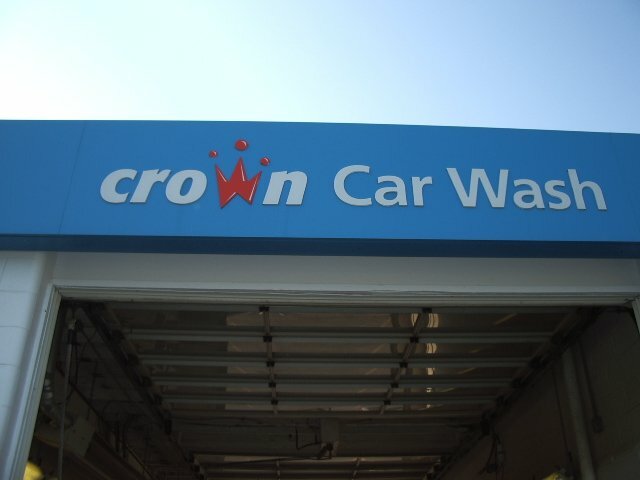 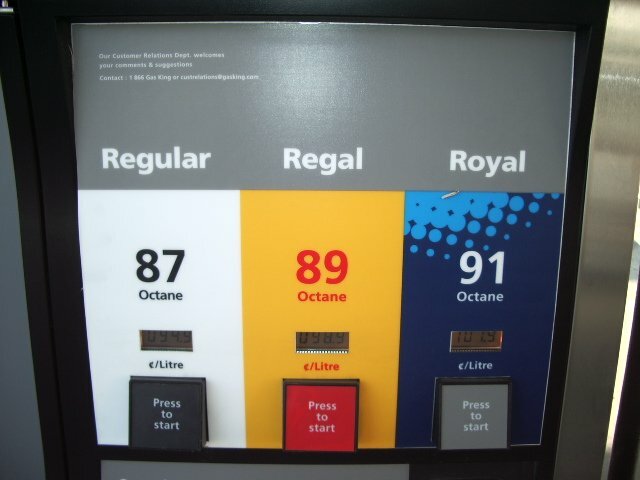 There are four stations in Lethbridge, and other locations in Southern Alberta. 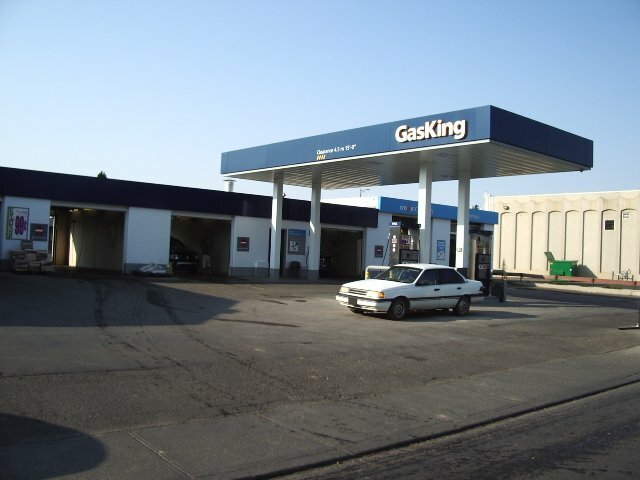 Above, three photos are of the Gas King at the 12th Ave. S. location in Lethbridge, Alberta. 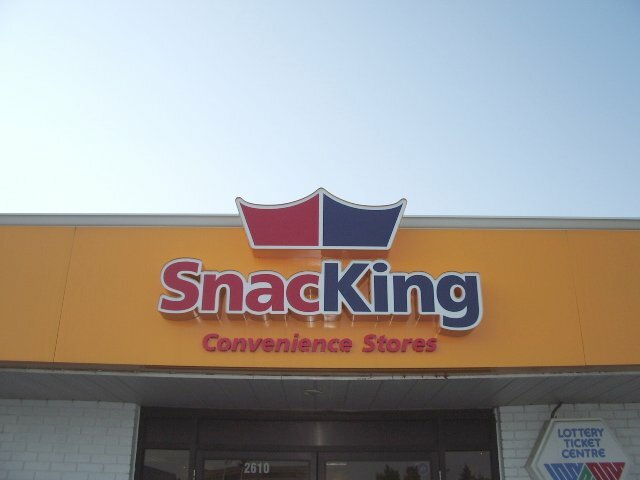 Taken Sept. 8, 2006 by Andrea Bourque. 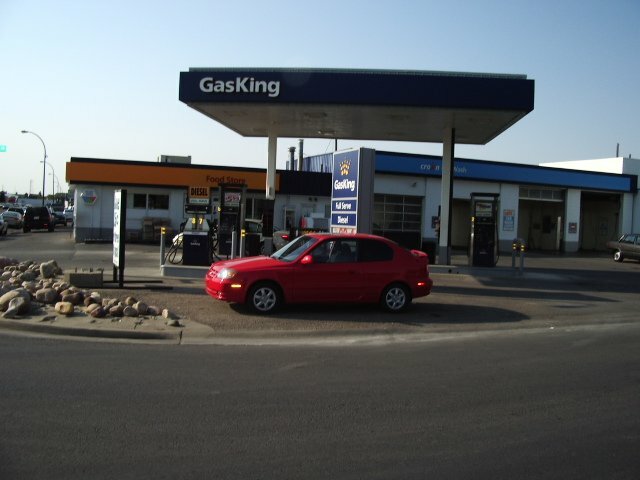 Above, two photos of the Gas King on the corner of 5th Ave. and 10th St. N, Lethbridge, Alberta. 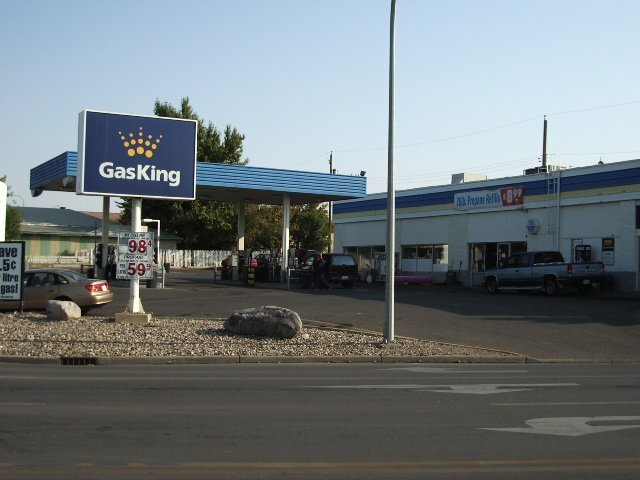 Above, three photos of the Gas King located on 16th Ave. S., Lethbridge, Alberta. 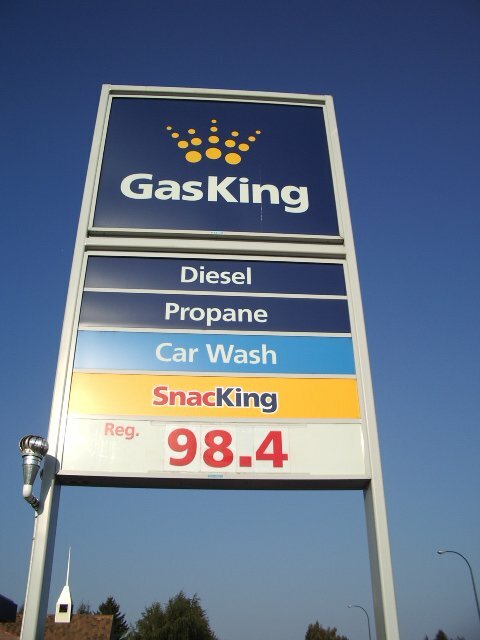 Gas King located at the corner of N. Mayor Magrath Dr. and 2nd Ave N, Lethbridge, Alberta. 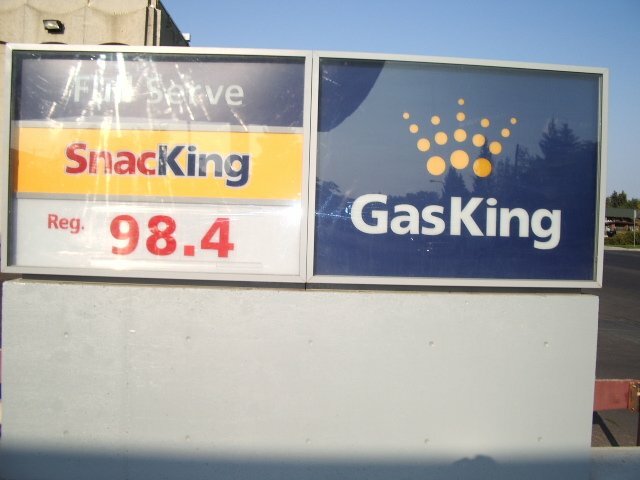 A photo showing Gas King's fuel brands. 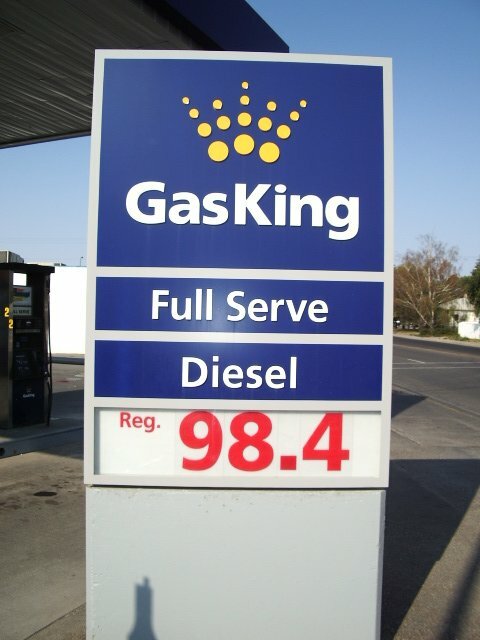 Taken Sept. 8, 2006 by Andrea Bourque.